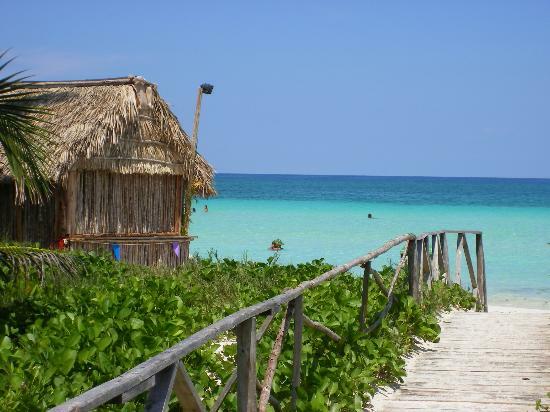 Cayo Coco is located at the midpoint of Cuba’s north coast, (it is 270 mls E of Havana. 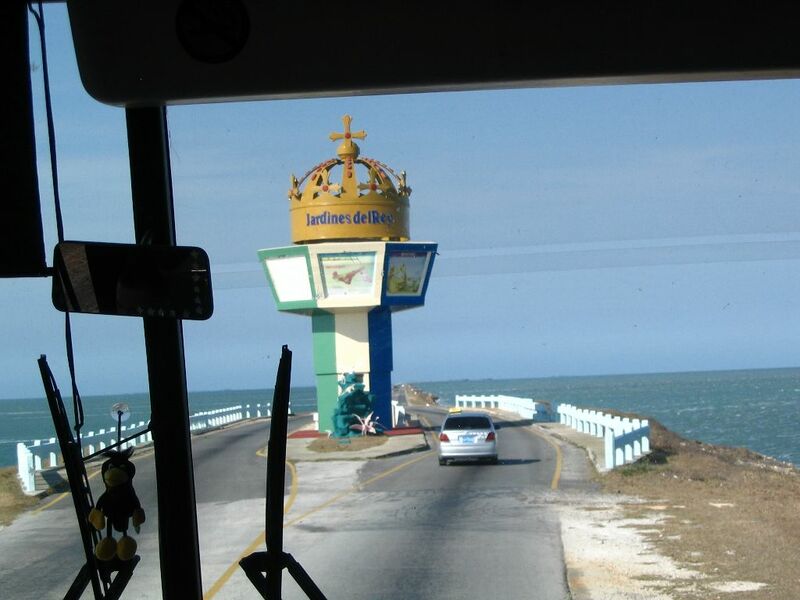 65 mls N of the provincial capital of Ciego de Avila and its international airport). It is the Westernmost of the large “cays”, some 400 islands stretching for 186 mls from Santa Lucia in the south east and forming the Sabana Camaguey Archipelago (also known as Jardines del Rey). This area suits real escapists seeking tropical-island solitude, bird-watchers, those with committed eco-interests and scuba-divers. Also popular with honeymooners. Although Cayo Coco island covers around 230 sq mls in total, the resort area is concentrated midway along the north east coast and, unless possessing a special interest, there is little to tempt the tourist away from the superb beach and hotel amenities. Apart from pockets of development, the terrain is flat and sandy with lagoons and mangrove swamps. The island does have the largest flamingo colony in Cuba as well as lots of other migrating and resident birds and, if you look really hard, you may see an iguana; but cattle, goats and horses are more common, often wandering in the road. 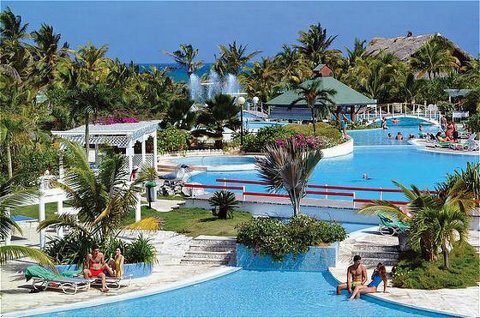 The accommodation here is mainly self-contained all-inclusive hotel complexes, all of a similar category. Check the tour-operator’s brochure carefully with regard to “all-inclusive” promises as “luxury” items like imported drinks and motorised water sports are often excluded. 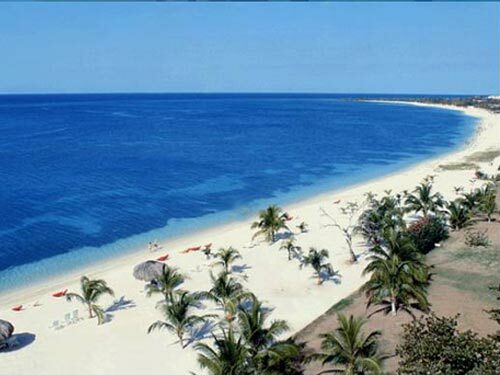 There is 17 mls of archetypal Caribbean beaches of near-white, fine coral sand sloping very gently into warm, clear water. 2½-ml-long Playa Pilar on Guillermo boasts the highest dunes in the Caribbean. There is no shopping outside what is on offer in the hotels themselves. 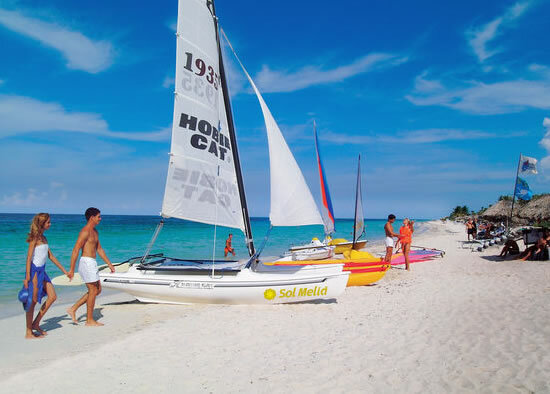 During the daytime the activities are almost exclusively beach-based activities with virtually every water sport imaginable, there is scuba diving at a dozen or more offshore reefs. Great area for bird-watching, and there is also the El Bago Nature Park. The nightlife here offers nothing outside the hotels which offer full entertainment programmes. For food there are a few options including a local restaurant in a cave which caters for tourist parties, there is a handful of barbecue bars but otherwise it’s the hotels again. Locally caught shellfish are well worth trying. Food everywhere in Cuba is restricted in choice and often of comparatively poor quality, definitely not a destination for gourmets.